Forensic science has played an increasingly larger role in criminal courtrooms across the country – particularly in cases involving more serious crimes, such as homicides, robberies and sexual assaults. However, the scientific veracity of this evidence has come under fire in recent years as even more advanced science has proven some of those convicted largely on these older forensics were indeed innocent as they’d always claimed. In 2015, The Washington Post reported the U.S. Department of Justice and the FBI both formally acknowledged that almost every examiner in the FBI forensics unit gave flawed testimony in nearly every trial in which they offered evidence against criminal defendants in the nearly two decades preceding 2000. Of the methods to which they testified were forensic hair analysis and forensic bite mark analysis. Among those cases effected, 32 were sentenced to die, with 14 having already been executed or died in prison. This was acknowledged by the agency after a study found that in 95 percent of nearly 300 cases reviewed, forensic examiners overstate those forensic matches in ways that favored the prosecution’s case. Other forensic disciplines touted as practically airtight in criminal trials for decades had by that time been largely discredited, including shoe and tire impressions and handwriting. A 2009 report from the National Academy of Science released a groundbreaking report revealing these “sciences” were not as credible as what they claimed to be, as they aren’t rigorous, grounded in peer-reviewed research and outcomes often rely on judgments of individual practitioners. The report stated opinions offered by these “experts” were generally more subjective than scientific. 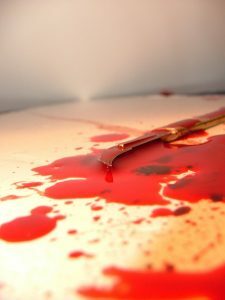 Specific to bloodstain patterns, the report stated complex patterns fluids make as they exit wounds are “highly variable,” making valid interpretations difficult or impossible.